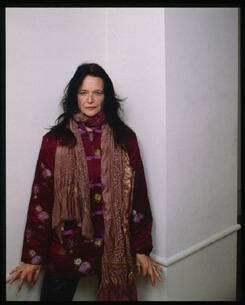 In “Outrider: The Pedagogy,” Anne Waldman defines her concept of the outrider as stemming from “a need to define the lineage, pedagogy and view of a burgeoning poetics program that was increasingly seeing itself outside the official verse literati culture academic mainstream” (Outrider 39). The Kerouac School (founded in 1974) is an accredited degree-granting institution, founded out of a desire to create a space for “non-competitive education…building a community of active readers and writers who carry the lineage in their genes” (Interview with Anne Waldman, 2007). It is interesting to me that the term community also plays a central role in the lexicon of composition studies, Elbow and Belanoff’s seminal textbook A Community of Writers is a perfect example, yet can the physical act of writing form community? And, within a required composition course, is it possible to foster a “non-competitive” atmosphere when all students are driven by the desire to pass the “required” class? In his essay, “Poetry as Prose,” Kenneth Koch writes, “language makes one aware not only of what it describes, but also of language itself—of the word among words.” Ideally, this sentiment is what should be the foundation for teaching both composition and literature—the notion that language in itself is eye opening, empowering, necessary, and beautiful. This kind of classroom is a “community,” one that keeps this flair for language in mind while creating a classroom atmosphere that embraces writing as well as student deep and critical thinking. As Peter Elbow explains, “the culture of composition carries a concern not just for teaching but also for students: attention, interest, and care for them, their lives, and what’s on their minds” (Everyone Can Write 469). In order to teach a student how to write, one needs to first overcome the fears and resentment that often come hand in hand with required courses. Nowadays, few students read voluntarily, and even fewer students write on their own. So, the real challenge lies in gauging the interests of the class and how to spark them. We need to teach students not only how to read and how to write, but how to engage with language itself. Waldman describes the “rhizomatic impulse” behind the pedagogy that Naropa was founded upon as “in response and as an alternative to poetry as a career…the composition by rhizome field—that way, as if poetry is an excursion and a necessity” (Outrider 18). In his “Introduction” to the first volume of the Talking Poetics from Naropa Institute: Annals of the Jack Kerouac School of Disembodied Poetics series, Allen Ginsberg elaborates on the process of the creation of that writing program. He asserts, “all the teachers are inventive active poets rather than learned scholars observing others of the art” (xi). What both Waldman and Ginsberg allude to is that central to Naropa’s inception was the idea that this would be a site where writing would be prioritized instead of “taught” (in the traditional definition of the term which emphasizes “instruction” and “training”). This desire is no different than that of scholars in both process pedagogy and critical pedagogy, who advocate for a composition classroom that returns to the word, as its center. Geoffrey Sirc’s fluxus-infused volume, Composition as a Happening, urges us to see “composition as a site where radical explorations are appreciated, where aesthetic criteria still come into play, but criteria not merely cribbed off an endless, formulist tape-loop” (32). Sirc’s “tape-loop” echoes Waldman’s “rhizome”—both envision a writing pedagogy that prioritizes growth, unpredictability, risk-taking, and invites an unlimited number of forms, influences, and connections. When I bring Waldman’s work into my classroom, students tend to be instantly taken by the way she reclaims what students often dub “traditional forms of poetry” (chant, litany, epic, etc.). Last semester I brought in sections of Iovis (Book One) and Manatee/Humanity for my students to work with. I’m not sure what I thought would happen, but I was surprised by how much Waldman’s innovations encouraged my students to perform their own experiments—I try to think of the composition classroom as a place where discovery and questioning happens, but my students did not really experience this until they had Waldman’s words in their hands. An example, one student took the opening pages of Manatee/Humanity and began by thinking of an animal that she was similarly taken with and worried about. She then did research, developed a thesis based on this topic, created a stop-motion hand-drawn animated film, and finally wrote a solid thesis-driven research paper on the real work that ecopoetry can do.